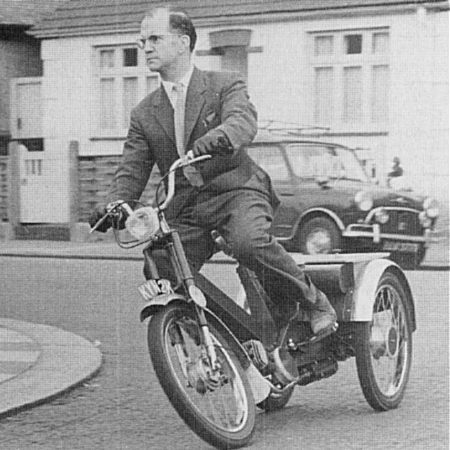 In 1967 George Wallis started exploring the idea of designing a safer bicycle and came up with a three wheeled design for a moped, unlike earlier trikes it bent in the middle. BSA was looking to re enter the moped market, and wanted something a bit different. They bought manufacturing rights and went on to produce the Ariel 3. 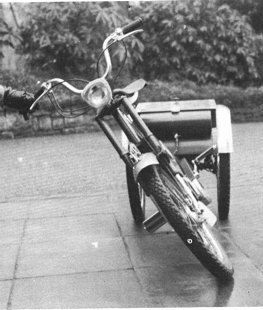 George designed and had built prototype trikes some based on the Triumph Tina scooter. These had the Tina’s automatic transmission driving the rear wheels via a differential. Other prototypes were built with a more conventional layout of engine and wheels size. At the time BSA didn’t invest in the design sufficiently, With the purchase of the rights, George Wallis became consultant to BSA. 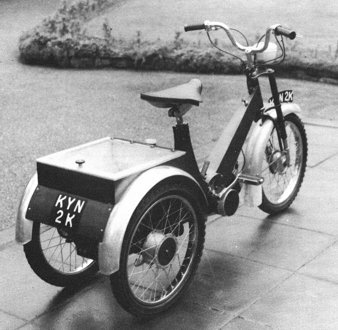 According to the Wallis design company, “the Ariel was designed by BSA design staff who would not take any advice or suggestions on the design”. BSA’s own design work continued and by 1970 the bike was in production ready for its launch. 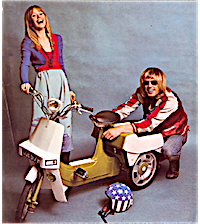 Around June / July 1970, the Ariel 3 was officially launched by BSA upon the paying public, priced at £100 an Ariel 3 could be yours. However that was a lot of money in 1970 (The average weekly wage in 1970 was £32). A fanfare of events and publicity pushed this three wheeled moped. BSA was not known for this type of bike and had for decades prior built traditional British motorbikes. Indeed BSA by 1951 was the worlds largest motorbike manufacturer. 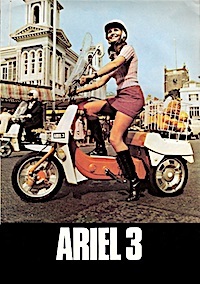 The Ariel was created on the back of “powerful market research”, and this predicted a brilliant future. Yet it failed to catch on with the public. Sales floundered and, this little trike is reported to of become the swan song in the collapse of the once great British motorcycle industry. That powerful research turned out to be wrong of course. By 1971 BSA were trading with a £3m loss, shareholders were told in 1972 that, “errors of management, contributed to the financial situation”. These references glossed over the Ariel 3, where BSA had tooled up for 2,000 units a week. In fact only a few hundred were sold and the whole exercise was reckoned to have lost the Company some £2 million. Its been the standing comment of the Ariel 3, that it, broke BSA. It isn’t the only thing that broke BSA, poor management played a heavy part, but certainly the Ariel 3 contributed a lot to BSA failure financially. After the collapse of BSA in the summer of 1973, the rights of the bike reverted back to the principle designer George Wallis, who was later to sell these designs onto Diahatsu and Honda. 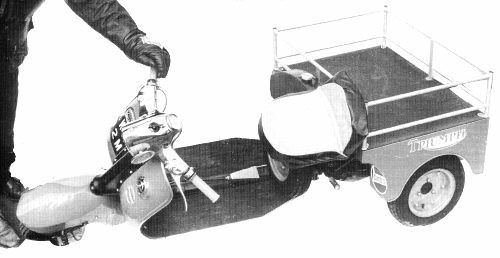 The Ariel 3 was only sold for a short three year period, and all of them may of been built in 1970 and stockpiled for sales. No a great start in life.